Koiso Kuniaki was on the Japanese Army's retired list when war broke out but was made Governor-General of Korea in June 1942. He was selected as Prime Minister to replace Tojo after the latter fell from power in July 1944. He did so with the understanding that he was to share power with Yonai. Among his reforms was the replacement of the Liaison Conference with the Supreme Council for the Direction of the War, which included the prime minister, foreign minister, two service chiefs, and two chiefs of staff. This significantly reduced the Army's hold on the government. 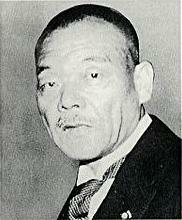 Koiso sought a separate peace with China, which he hoped would lead to negotiations with the other Allies. A minister of the puppet Nanking government, Miao Pin, offered to act as an intermediary with Chiang Kai-shek, but his questionable bona fides and the obstinacy of the Japanese Army meant that this went nowhere. Koiso could satisfy neither the "hawks" nor the "doves", and he resigned after the invasion of Okinawa when Sugiyama blocked his attempt to be restored to active duty so that he could serve as his own War Minister. Koiso was a relatively moderate officer who, as commander of Korea Army in 1938, had advocated a restrained response to the Soviet occupation of Changkufeng in the Korean-Manchurian-Russian border area. Nevertheless, he was sentenced to life in prison for his part in starting the war in China and for failing to put an end to war crimes after becoming Prime Minister.